Two things you might not have known: there is an underwater hockey team in Dar and they just finished ‘top of the rookies’ in their first international tournament in Dubai. The team beat out the competition from Rwanda, Saudi Arabia and even the hosts themselves in a lung-busting sudden death overtime thriller. The amateur team also won the opportunity to play four other vastly experienced teams from France, two US teams (men and women), and Singapore. 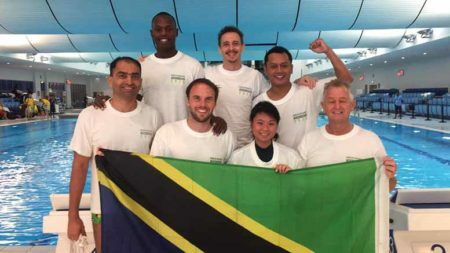 Despite losing ‘heavily,’ team captain Tom Bishop says the experience gained was invaluable and will help to dramatically improve the standard of underwater hockey in Tanzania. Underwater hockey, also known as octopush, involves moving a puck along the bottom of a swimming pool with a ‘pusher’ into the opposing team’s goal. The team trains at the International School of Tanganyika secondary campus in Masaki every week. For more information contact Tom Bishop at 0715 461 322. 3 Comments on "Underwater hockey team wins in Dubai"
The Dar es Salaam Underwater Hockey Club is looking for new members to help us build on the success of the Dubai tournament. It’s a really fun sport, with mixed teams, suitable for beginners or experienced swimmers, and from youth to veteran. A great way to keep fit. If you’re interested, give me a call or Whatsapp on +255 715 461 322. I started with the team 20 months ago and it has been so much FUN. I like the water and enjoy a nice workout too – all at the same time. It has all the thrills of a field team game but under a metre of water. 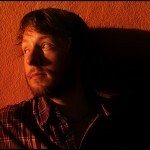 Check this link for a good idea of the game. This game is SO much fun. 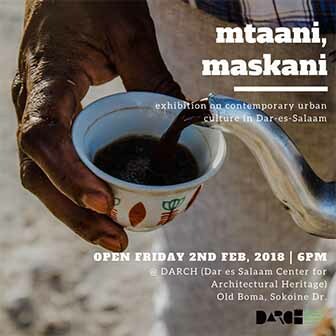 Great people, great sport – try something new while you’re in Dar!